The 2018 LSE Festival was a programme of events 19-24 February on the theme “Beveridge 2.0: rethinking Beveridge for the 21st century”. 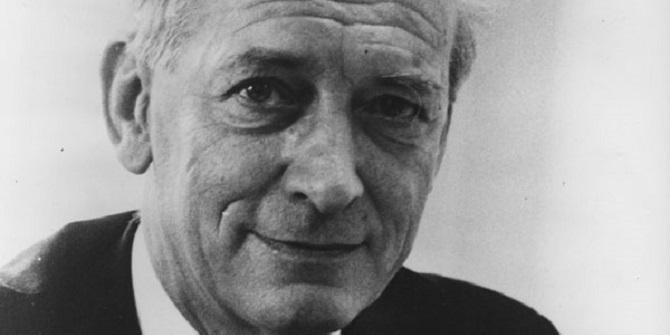 What was life at LSE like while Sir William Beveridge was Director? What happened to LSE during World War II? How did Beveridge’s former LSE colleagues interact with the report in later years? Explore our collection of stories from LSE’s history. 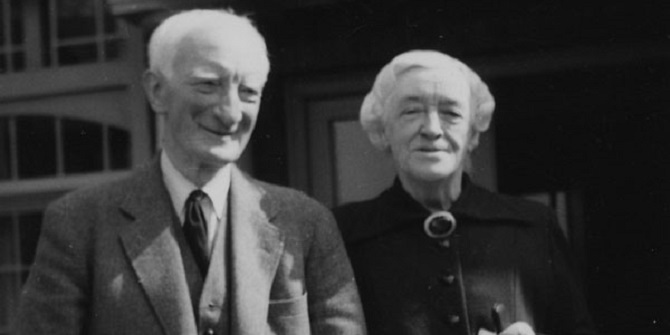 William Beveridge was born in India in 1879 to British parents who worked in the Indian civil service. The family spent time in both India and Britain, before the final decision to move back to Britain in 1890. After attending Charterhouse school and Balliol College Oxford, Beveridge had spells at Toynbee House, a centre for social outreach in the East End of London, and the Morning Post where he began pursuing a career in social reform. His work on unemployment at this time found favour with Beatrice and Sidney Webb and Winston Churchill, and he was invited to join the Board of Trade in 1908. During World War I Beveridge was largely in food administration and rationing. He was unsure about its future post-war, when Sidney Webb suggested he apply for the LSE directorship. Beveridge became LSE’s first post-war director in 1919 with the legacy of the First World War shadowing the School, and left nearly 20 years later as the Second World War loomed ahead. During his time at LSE, Beveridge set about expanding the School’s premises on the Clare Market site to include Houghton Street; championed sports and established a sportsground; increased LSE’s teaching remit; set up the Academic Assistance Board for refugee scholars; secured financial donations from the Rockefellers in the USA; and served as Vice Chancellor of the University of London. 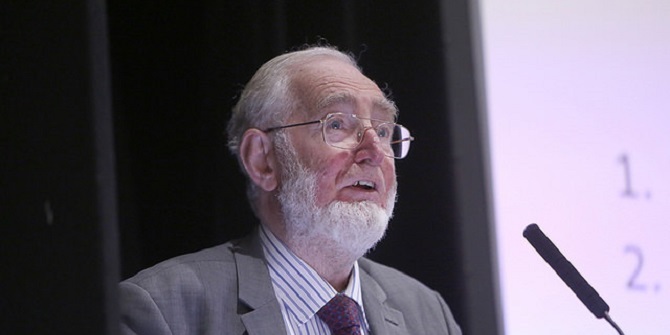 His LSE colleagues included now-famous individuals such as Eileen Power, Lionel Robbins, RH Tawney, Hugh Dalton, Josiah Stamp and Harold Laski. A difficult last few years at LSE revolved around issues of academic freedom; the perceived favouritism of social biology as an academic path; and reactions to the management style of both Beveridge and secretary Jessy Mair. Beveridge’s initial move was to become master of University College, Oxford but his real skill was in research and evidence-based long term strategies for social reform. During the war he was eventually assigned to work on social insurance. In 1942 he published the Report on Social Insurance and Allied Services, known as the Beveridge Report, which was a proposal for Britain’s first universal care system. The report sought to tackle the five “giants” of disease, want, squalor, idleness and ignorance and became wildly popular with the British public. 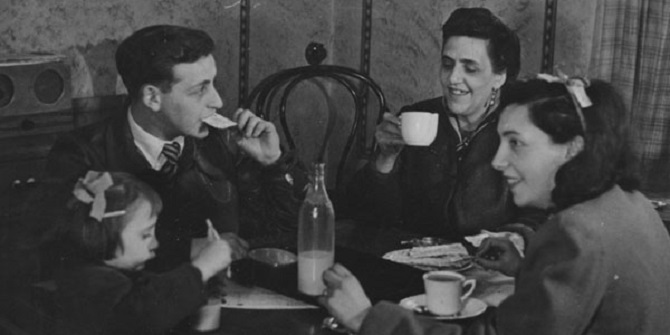 In 1946 Professor Tibor Barna led around 100 LSE student volunteers in a ‘Social Survey of Stepney’ and their findings are among his papers in LSE Library. The goal was to interview real Eastenders about their lives against the backdrop of postwar re-imagination of London’s East End. 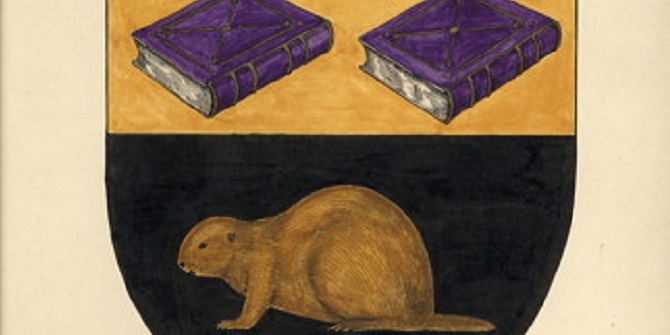 Inderbir Bhullar explores the archives. 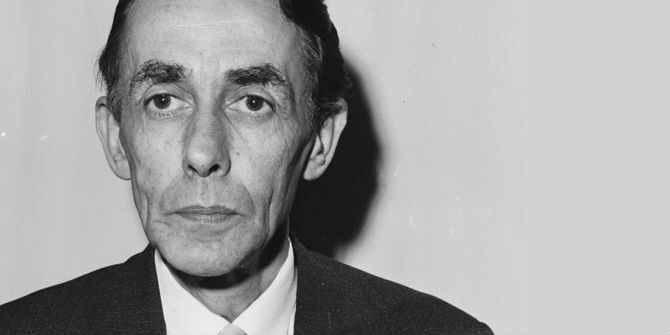 As the NHS reaches its 70th anniversary, LSE Library’s Inderbir Bhullar explores the involvement of LSE’s Richard Titmuss and Brian Abel-Smith in the 1953 Guillebaud Report on the costs of the NHS. 2018 is the 80th anniversary of the appointment of Sir Walter Adams as School Secretary in 1938. 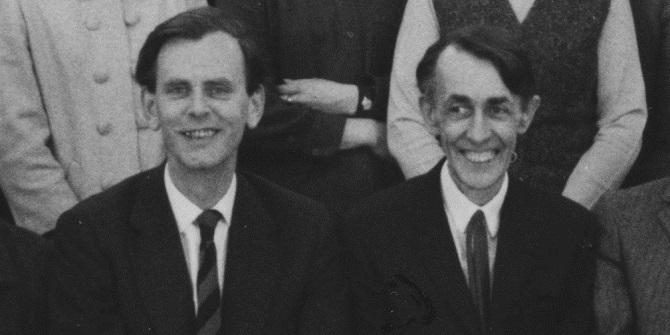 His appointment as Director in 1966 was to start a turbulent period in LSE’s history, writes LSE Archivist Sue Donnelly. A pencil portrait of Vera Anstey hangs in the lobby of the Vera Anstey Suite in the Old Building. 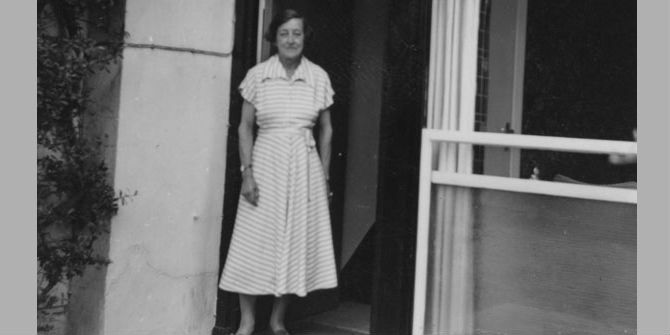 LSE Archivist, Sue Donnelly, writes about the portrait and a woman connected with LSE for 55 years. William Beveridge was Director of LSE 1919-37, leaving for Oxford before producing his famous report in 1942. Professor Michael Cox explored his LSE career and relationship with Beatrice and Sidney Webb at the Beveridge 2.0 event A Beveridge Plan for an Unruly School? William Beveridge and LSE. 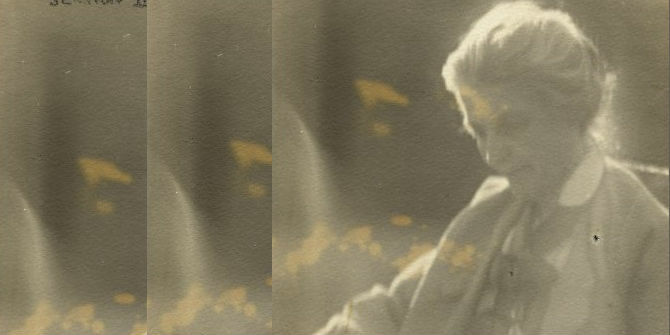 Ahead of the Beveridge 2.0 event Five LSE Giants’ Perspectives on Poverty, Professor Lucinda Platt explores LSE founder Beatrice Webb’s 1909 Minority Report on the Poor Law, Webb’s views on poor relief and potential influence on William Beveridge. Her report, for which Beveridge was a researcher, called for national and local appropriate coordinated provision for the poor and discussed healthcare, pensions and work. Listen to podcasts from the free history events at the Beveridge 2.0 LSE Festival, 19-24 February 2018. 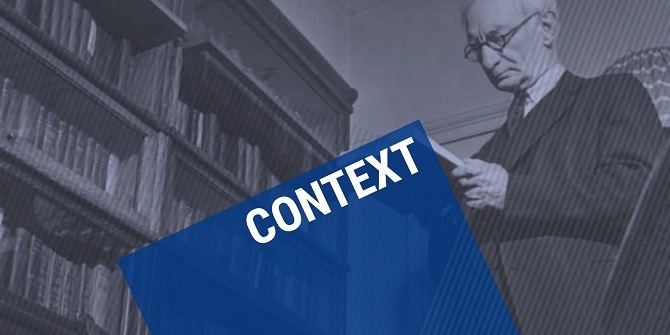 Topics include the Second World War, the Welfare State and LSE in the 1930s. The LSE Library exhibition “A Time for Revolutions: Making the Welfare State” is still open to visitors. What’s the future of the welfare state? 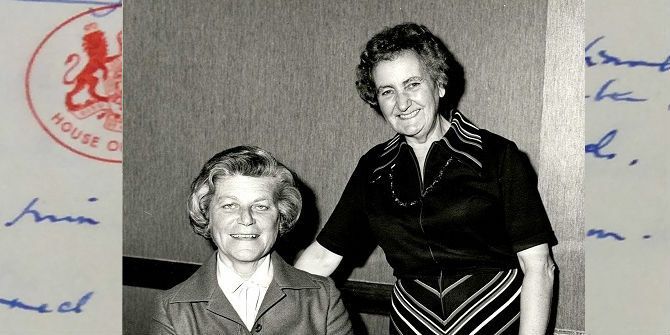 LSE Library’s current exhibition, A Time for Revolutions: The Making of the Welfare State, coincides with the 75th anniversary of the publication of the Beveridge Report and shows the development of social welfare in Britain from the Poor Laws to Universal Credit. Exhibition curator Inderbir Bhullar, looks at William Beveridge via his archives and his connections to LSE. 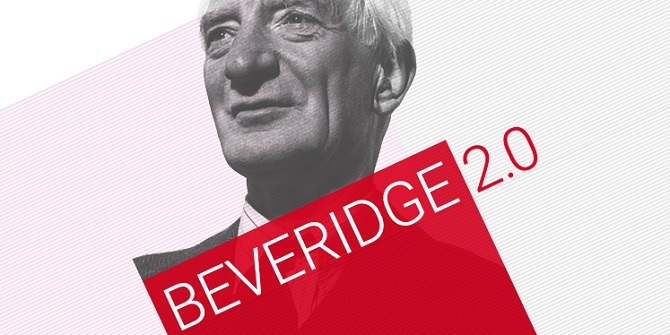 William Beveridge was Director of LSE 1919-1937. In 1926 he also became Vice Chancellor of the University of London. 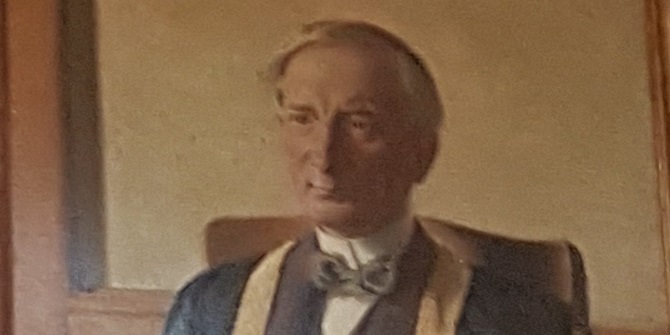 LSE Archivist Sue Donnelly finds out how LSE commissioned artist William Nicholson to paint a portrait of Beveridge to mark the occasion. The politician and social reformer Beatrice Serota (1919-2002) both studied and taught at LSE and later became an Honorary Fellow. She is best known for her career in government, championing an inclusive approach to social policy. LSE Curator Gillian Murphy introduces LSE Library’s archive collection covering Beatrice Serota’s working life. LSE’s coat of arms, motto “rerum cognoscere causas” and Beaver mascot were adopted in 1922 under Director William Beveridge and School Secretary Jessie Mair. LSE Archivist Sue Donnelly shares the story of how they came about and who designed them. She names the winner of the School’s motto competition – and provides some of the unsuccessful entries. 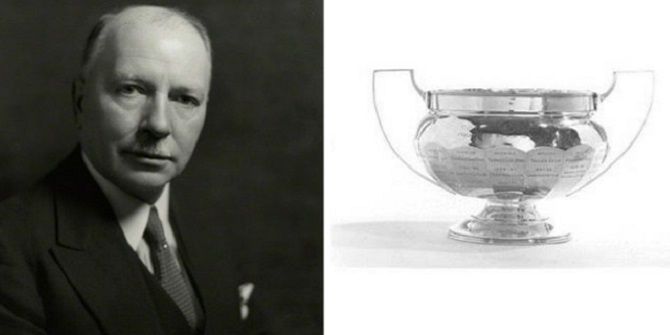 The Ernest Cornwall Cup is a reminder of sporting prowess at LSE in the 1930s-1960s, writes LSE Archivist Sue Donnelly. Dame Nemat (Minouche) Shafik became the 16th director of LSE in September 2017. 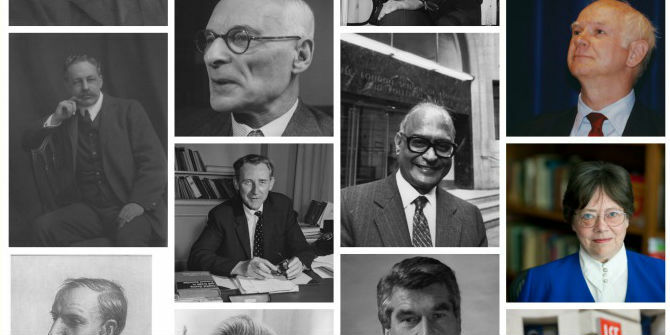 Sue Donnelly, LSE Archivist, provides a quick guide to her 15 predecessors. 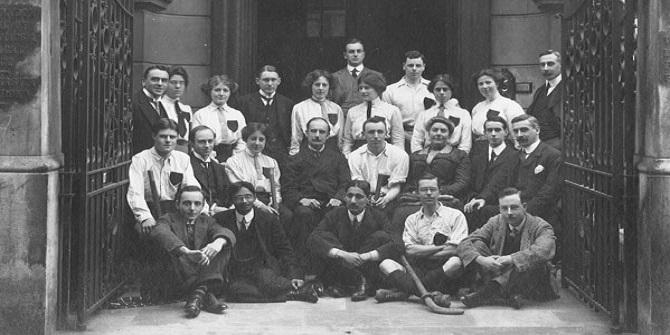 Sport at LSE has a long history, writes LSE Archivist Sue Donnelly, as is proved by the 1911 photograph of the first hockey team. 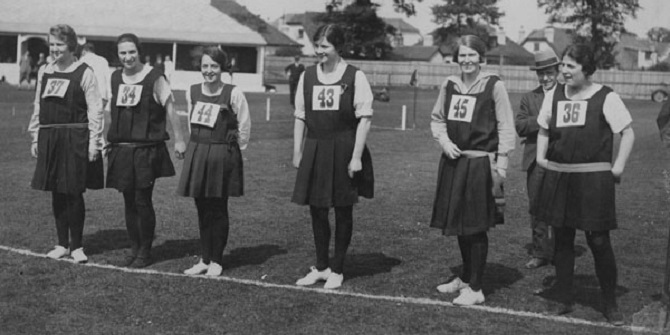 But the acquisition of the Malden sports ground in 1921 encouraged sports of all kinds to flourish at LSE. 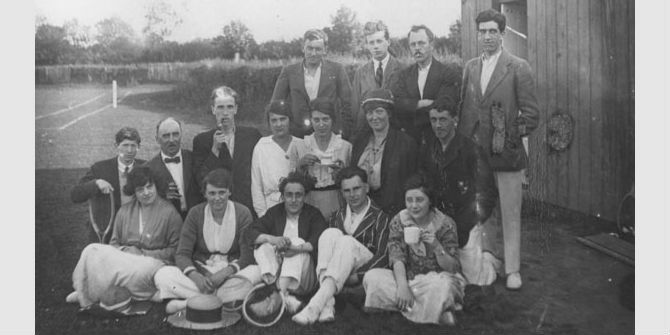 LSE’s sportsground opened in 1921 and among the many sports taking place at the new ground, in Malden, Surrey, was tennis. There was a tennis club and games took between staff and students. These images from the 1920s introduce tennis at LSE. 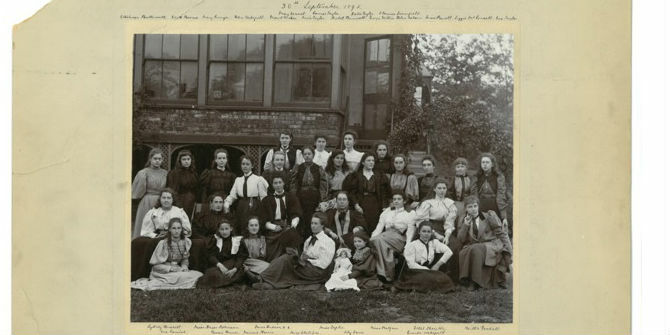 LSE’s History series for LSE Women: making history celebrates some of the notable women at LSE through the years. Sue Donnelly looks back at Christian Mactaggart: School Secretary 1896-1919. 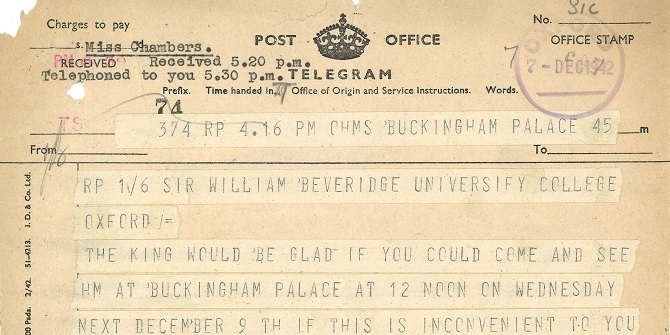 On 24 June 1943 a telegram arrived from Australia for LSE’s Director, Alexander Carr-Saunders, announcing the death of Christian Scipio Mactaggart who from 1896-1919 worked as School Secretary – not always with the title.